Motion Labs chain hoist power and control cables are Extra Hard Usage STO type jacket mixed with a Seoprene component for flexibility and durability. 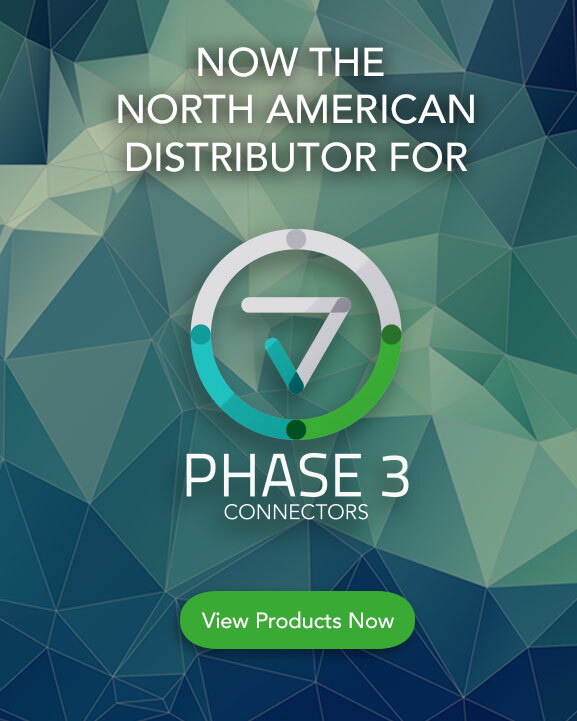 Our cable is milled with seven conductors and a center core filler so there is no strain on any conductor during movement. 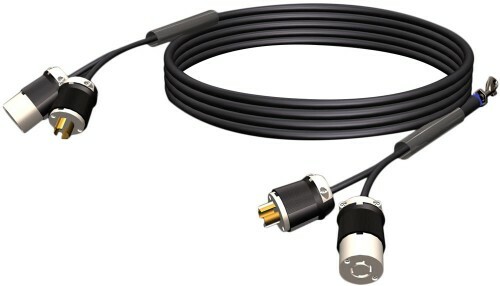 Please note that for customers that use dual connectors (one for power and one for control), we provide a split at the ends of the cable or we can provide a bundled pair of cables upon request. All of our chain hoist power and control cables are fitted with strain relief assemblies on the hoist end to remove any strain from being imposed on the connections or the hoist attachment. Our chain hoist power and control cable assemblies are available with all industry standard connector types including Dual Twist, Dual Pin & Sleeve, C7, P14 and P7 as well as custom styles such as Harting multi-pin. Chain hoist power and control cables are available in standard lengths of 5ft, 10ft, 25ft, 50ft, 75ft, 100ft, 125ft, 150ft, and 200ft. Custom sizes are available on request. 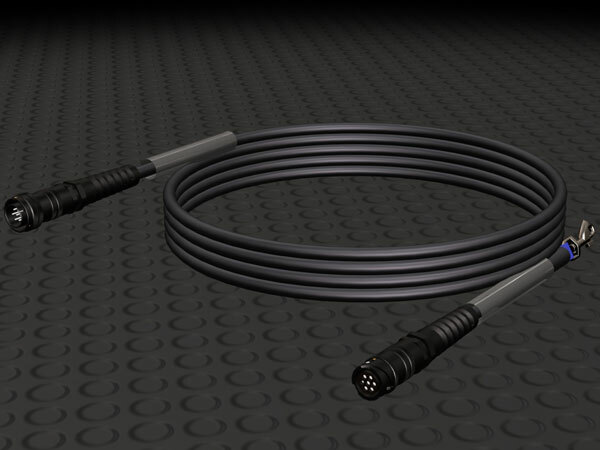 All cables are clearly labeled with part numbers and length information. Additionally, we offer the service of adding specialized labeling that you may require and provide a 6” inactivated clear heat shrink sleeve on each end for your convenience. 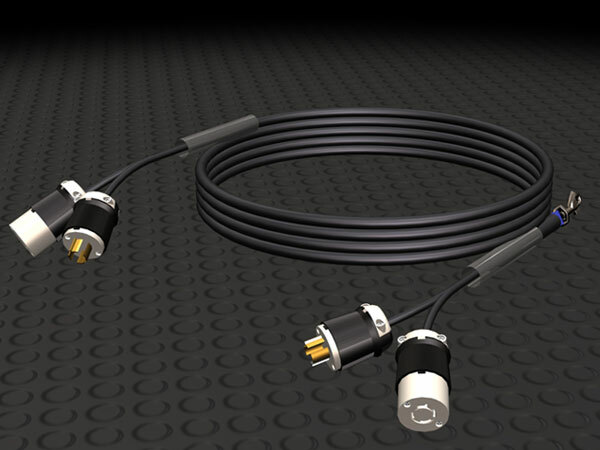 Choosing the right size cable is important to the operation of the system. 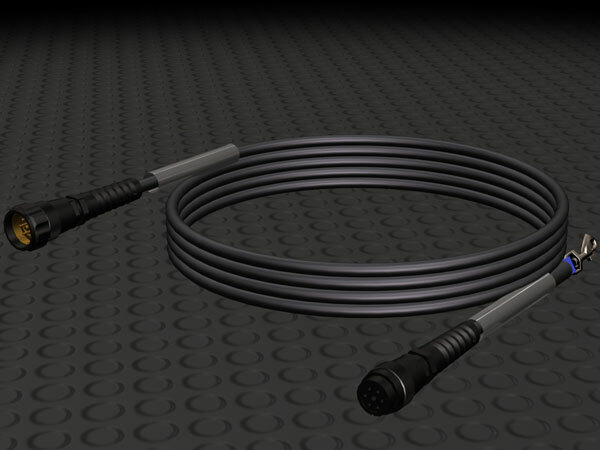 Cables are available with 16AWG, 14AWG and 12AWG conductor sizes depending on the requirements of the application. Conductor sizes are specified to minimize voltage drop and our trained staff can assist you in picking the right size for your application. Getting the power and control into the hoist requires a hoist tail. We have a full line of terminated or un-terminated hoist tails that can be fitted into any hoist on the market. 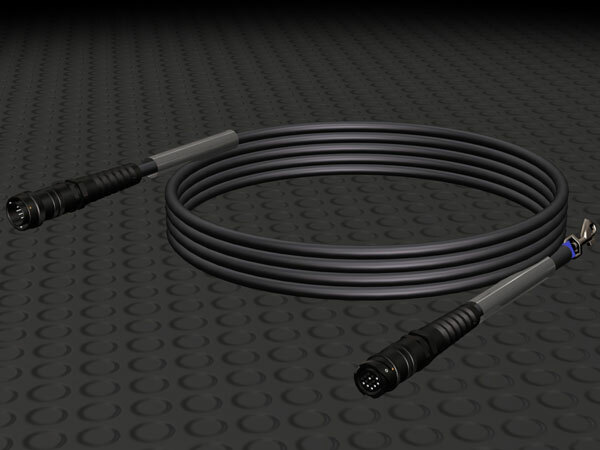 Power and Rig with confidence using the most trusted name in cable assemblies.